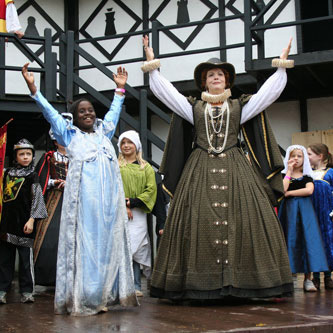 Join us for School Days at the Faire, where students journey back to a 16th century English country faire and become immersed in the culture of our 35-acre Elizabethan village. During their visit students gain knowledge of medieval armor from knights of old, witness the sport of falconry, cheer their champion at the Human Chess Match and Tournament Jousts, encounter nobles and peasants from the pages of history books while exploring the Shire of Mount Hope. 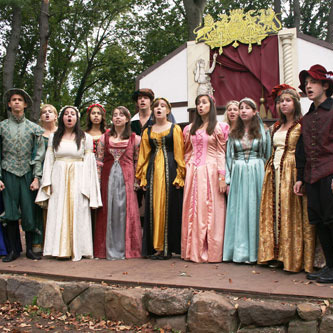 Whether participating in period song or dance, or accepting a cameo role with a wandering troupe of players, students express their creativity both on stage and throughout their encounters with the villagers, all within the confines of a dramatic Tudor village in a safe, secure learning environment. Merchants and craftsmen demonstrate their ancient crafts including a blacksmith, glassblower, beekeeper, clothier, leather smith, bowyer, potter, herbalist, and many more. Students also have the chance to participate in competitions and participatory events designed to provide hands‐on learning in a fun, yet competitive setting. Upon arrival at the Faire, your bus will be stopped at the registration area. The registered teacher will be asked to get off the bus and check in. ALL GROUPS must check in at this table, even if prepaid. Please see the handbook for more information about arrival. Admission is $15 per person, with 1 complimentary chaperone admitted for every 8 paid students. The minimum group size to attend is 10 or more youths. Home Schools are welcome provided your group meets the minimum group size. 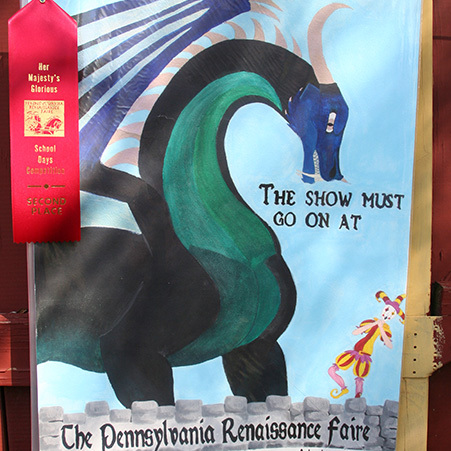 Checks can be made payable to "PRF" or "Pennsylvania Renaissance Faire." Pre-registration is required—please use the form below to register today! 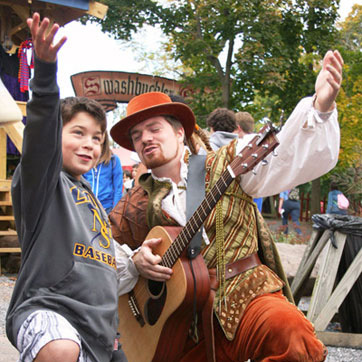 Pre-reservation is required to attend School Days at the Pennsylvania Renaissance Faire. Admission is $15 per person. Minimum group size of 10 or more youths. In addition to all the shows and events throughout the day during School Days, your groups can also become involved with or take part in the following competitions and participatory activities! Specific details, entry instructions, locations and times for each competition are located on the Handbook page. 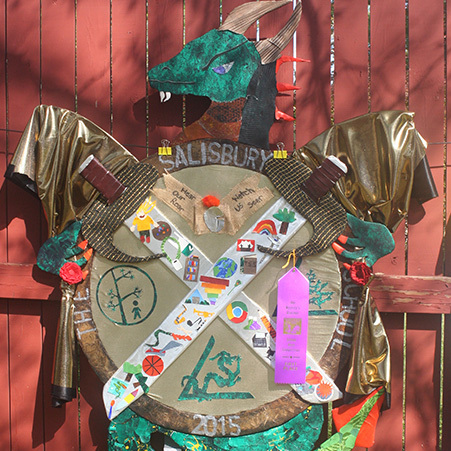 Competition results and awards will be available at the Informistress Booth after 1:00PM with the exception of the Heraldry and Poster Competition (these awards will be place on the entries while they are displayed). Participation is not mandatory, but groups must pre-register to participate. Most competitions and participatory activities require the Student Participate Form to be filled out prior to the event. Please visit the Handbook page for more information on all competitions and events along with the required forms. Lunch is a concern when planning field trips. 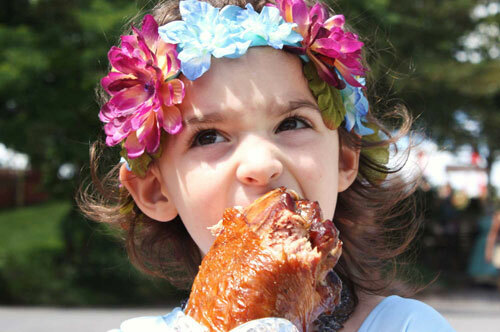 In addition to permitting packed lunches on the Faire Grounds, our Royal Kitchens offer a variety of wondrous food choices; everything from Peasant Bread to Giant Smoked Turkey Legges, to Soups and Sandwiches, Spanish, Greek, and German fare as well as delectable desserts. We also have several pre-registration lunch options for School Days at the Faire. These options are scheduled in advance, using the forms located on the Handbook Page, and are then picked up on the Fairegrounds. Options include cold or hot lunches; $8.50 per student (combined admission and lunch cost $23.50 per person). No substitutions. Options subject to change. Lunches must be pre-ordered at least 10 business days prior to trip. 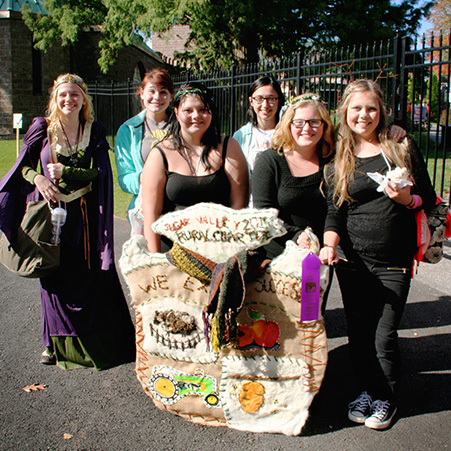 Over the years, educators preparing for school trips to the Pennsylvania Renaissance Faire have asked many questions. We hope to answer some of the most frequently asked and, hopefully, assist everyone in the preperations for School Days. If you have any other questions that have not been answered below, please contact our business offices at 717-665-7021, Monday through Friday, 9AM-4PM or visit our formal comment, question and feedback page to submit an inquiry. 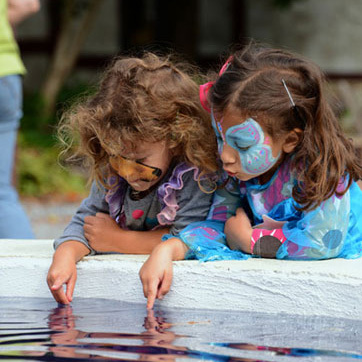 School Days at the Faire runs from 9:00 AM – 3:00 PM. Plan to come early and stay the entire day. The events on the Revels Schedule begin with Queen’s Court and end with the Finale In Song, so it is beneficial to spend the entire day at the Faire and experience as much as possible. Most groups arrive between 8:30am and 9:00am. The complete Revels Schedule will be available prior to your trip. The School Days are geared toward children in grades 3-12. Please check the General Information page for more details on which days are ear-marked for Elementary, Junior High or High School students. 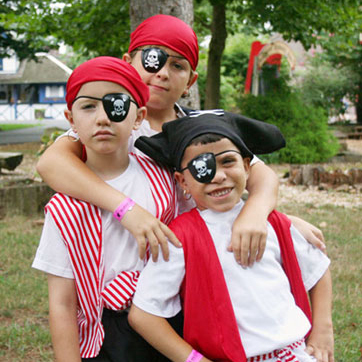 There are a wide variety of shows that are portrayed on the grounds and each group leader can cater their schedule for the day to the age of children in their group. If group leaders must bring children under that age range, please note that everyone*, regardless of age, will be required to pay the $15 admission fee. This includes all children, even toddlers. *With the exception of complimentary chaperones. The Faire allows one complimentary chaperone for every 8 students. As quickly as you and your students can choose a date. The popularity of School Days at the Faire increases each year. Many of the dates fill to capacity and reservations are accepted for all of our events on a first-come-first-served basis. Contact the Educational Programs Director at (717) 665-7021, ext.148 or by using the online Reservation Form. The cost of School Days is $15 per person for both students and chaperones. One complimentary chaperone will be admitted for every eight students, but additional chaperones are permitted and will be charged the student rate of $15. We request that children younger than Grade 3 do not attend School Days, as the days are geared to the age group attending and it is difficult for adults to chaperone the students while tending to toddlers and infants. If it is absolutely necessary that younger children attend the School Day, they will be charged the student rate regardless of age. If you are travelling by bus, a special bus driver admission wristband will be provided free of charge. For groups of over 20, payment can be made the day of your trip at the Registration Table upon your arrival at the Faire. The parking lot greeters will direct the registering teacher to the Registration Table. If you choose to pay when you arrive at School Days, the parking lot greeters will direct the registering chaperone to the Registration Table. Payment is requested by one check made payable to: Pennsylvania Renaissance Faire. Group size must be 10 or more students to be considered for Schools Days. When your group arrives at the Faire, the registered educator will be directed to the Registration Table where he/she will make their payment and receive Admission Wristbands for their group. The Admission Wristbands are tickets and no one will be admitted inside the Faire grounds without wearing a Faire provided wristband for the safety of everyone attending. We do offer a pre-payment option for groups who can pay in full no later than 10 days prior to their visit. Pre-paid groups will receive their Admission Wristbands in the mail prior to their visit. Details regarding the pre-payment option are available in the Study Guide, which will be posted to the website and emailed to the registering teacher over the summer. Are home school groups eligible to attend School Days? Yes, provided your group meets the minimum group size of 10 or more students. Because home school groups often contain a variety of ages of students, we suggest that you choose a School Day to best accommodate the majority of the students' ages. The chaperone policies do apply and additional chaperones will be charged the student rate. We request that students younger than Grade 3 do not attend School Days, as the days are geared to the age group attending and it is difficult for adults to chaperone the students while tending to toddlers and infants. If it is absolutely necessary that younger children attend the School Day, they will be charged the student rate regardless of age. A Revels Schedule will be sent out prior to the School Days dates—We suggest educators preview this schedule and loosely plan the day for their students leaving some “free time” for village exploration, lunch, souvenirs, etc. Planning in advance will alleviate students' wandering and will focus them on the available activities at the Faire. Yes. Although we have many delectable Royal Kitchens to choose from throughout the Shire, we allow students to pack their lunches. Schools can store their lunches in large boxes or bags in the Lunch Storage Area near the Pirate Ship. Lunches should be clearly labeled with your school’s name and PRF is not responsible for any lost items. The Shire holds hundreds of merchants, artisans and food vendors. These shops are independently owned businesses operated by the individual artisans and food merchants. If students wish to purchase crafts, food or souvenirs, play games or ride rides, they should bring spending money. Because the Faire provides an extensive Revels Schedule filled with performances and packed lunches are permitted on School Days, money is not a necessity, as there is plenty to see and do without additional cost. The decision to bring spending money and the amount is solely up to the individual student. The online study guide/handbook and all required information can be found on the Handbook Page. More information will be sent to the email address provided when registering your group.